The Google Adsense Program is without a doubt, the quickest and easiest way to start earning income from your small web site business. 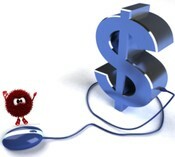 Adsense ads are a form of pay per click advertising. Once accepted you put the adsense ad code Google provides on your website and when your visitors click on the ads you will start earning income. You have just launched a new career as an internet entrepreneur. PPC earnings usually starts off at pennies a day. As you add web pages and more content (and more ads) a lovely and profitable snowball effect starts to occur. The pennies a day turn into dollars a day which turn into hundreds a month and over time even thousands! Remember that patience does pay off. But don't expect to get rich overnight. The keywords you choose for your individual web pages will have a significant bearing on the amount of income generated by the ads that Google will serve to that particular web page. Choose profitable keywords but not just for the sake of their value. They also need to relate perfectly to the content on the web page. There is nothing worse for your visitor than reading content on a web page that doesn't quite make sense! Let's say you are building a page on how to select Google adwords. While "adwords Google com select" is a profitable keyword phrase it just doesn't make as much sense as the lower value keyword phrase "select Google adwords". READ the Google Adsense Program Agreement very carefully. For example, small graphics lined up next to the ad text links are not allowed. There are a plethora of strategies that webmasters use to maximize the potential revenue generated from Google pay per click ads. 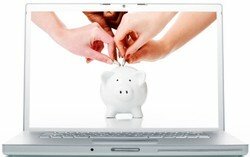 The best place to start learning all the ins and outs of the Google Adsense Program and Google Adsense Ad placement, techniques and strategies is directly from the source- Google! Once you have the basics down, start monitoring your results. Experiment with different color schemes, ad placement, ad unit sizes, and keywords to improve the revenue generated by the adsense ads. Bear in mind that each site is different so there isn't just one sure fire strategy that is going to work the same way or produce the same results for all websites. "Give it time. 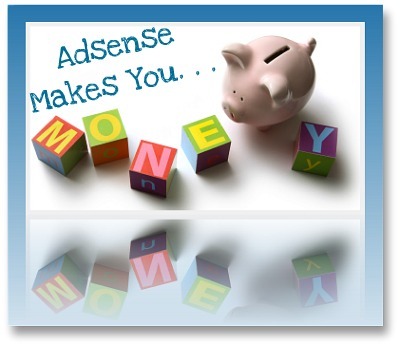 Read, learn and adjust the adsense ads as necessary to achieve the best results."